Janee is an absolute sweetie. 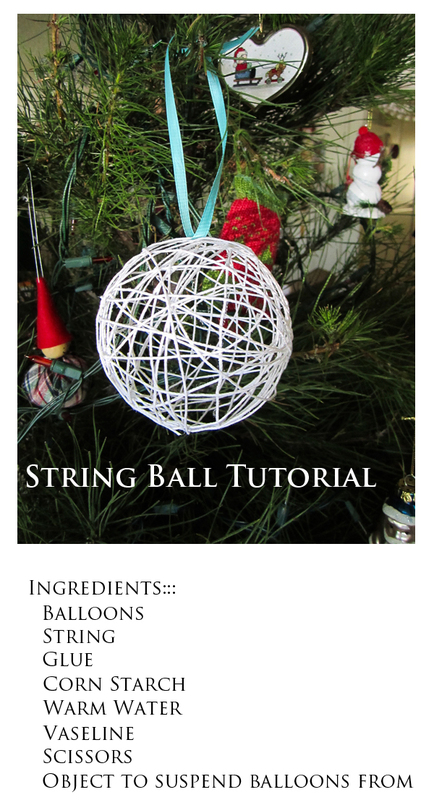 She shared a tutorial for making string ball ornaments, and has kindly offered to share it here too. 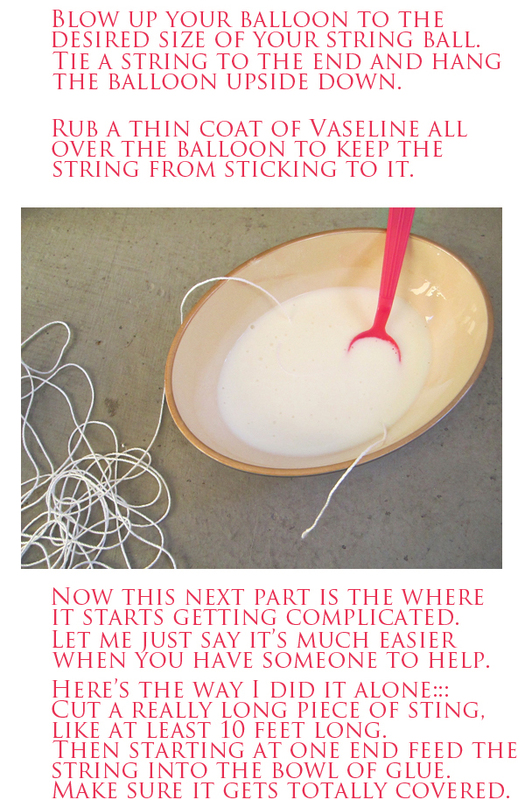 This works out well, as I planned to make some of these this year...and never quite got around to it. Janee to the rescue! Thank you, dear! Next year, these are on the top of my list! oooo this one is REALLY cool! 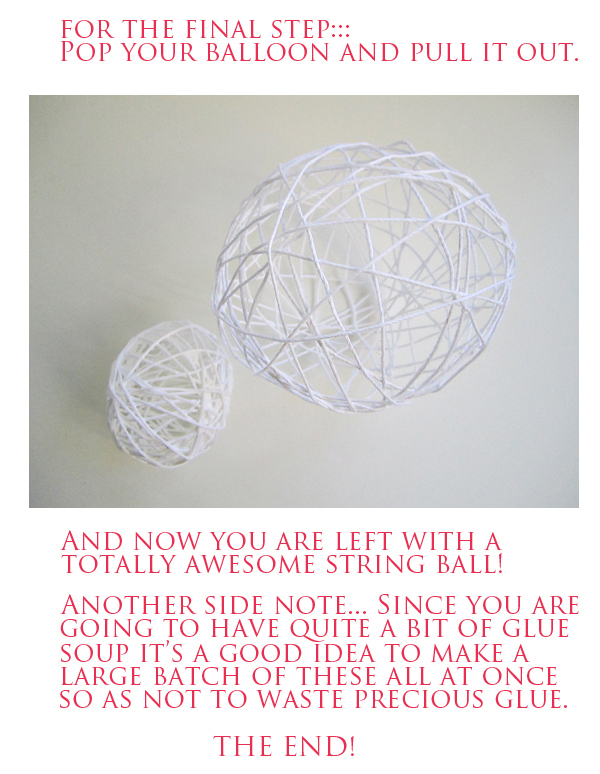 I remember making these when I was a kid, with quilting thread! 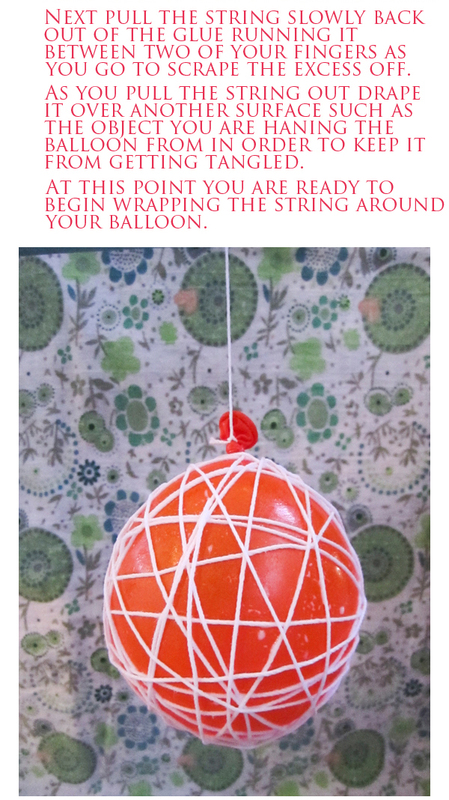 We used to make them for Easter using a fully inflated 9" balloon. 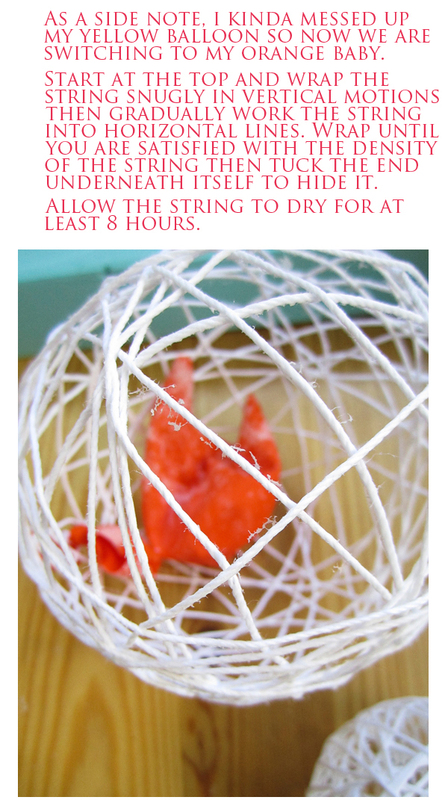 Keep the bottom slightly damp while the rest dries. 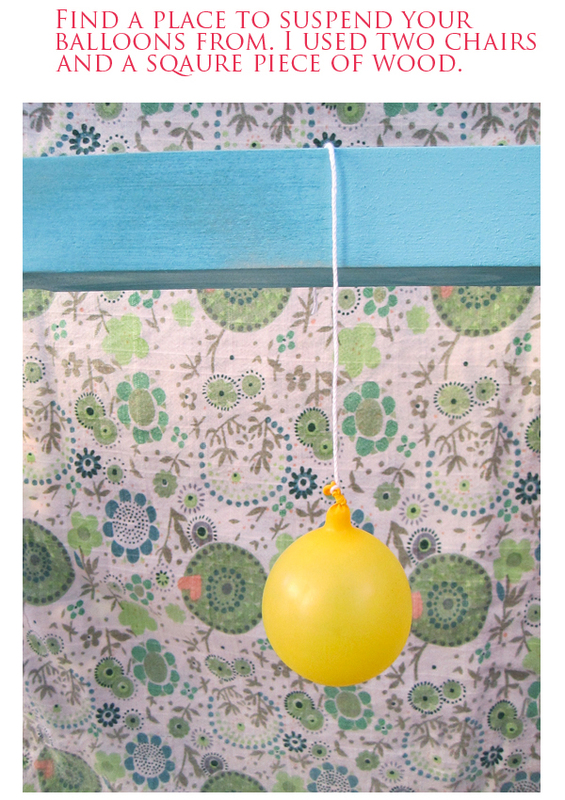 Pop the balloon and flatten the damp bottom so the balloon will set alone (placing it on wax paper so it won't stick to anything). 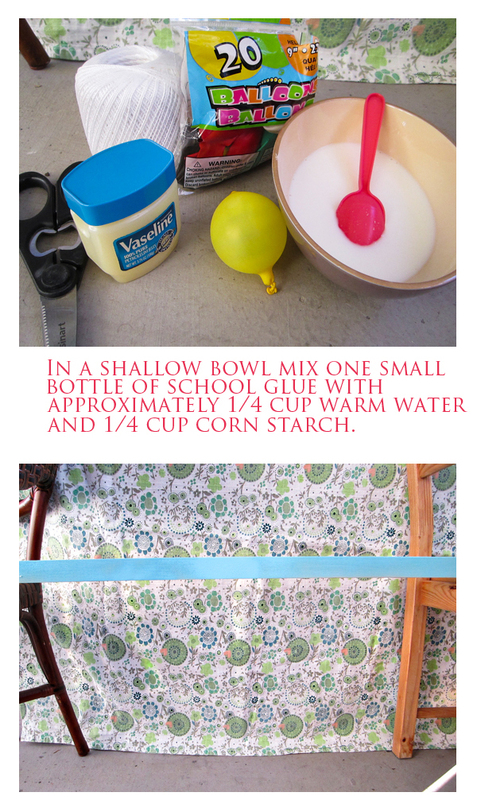 Cut out an oval opening in one sie of the balloon, fill with easter grass and small wrapped candies, toys, eggs, etc. Tie a nice bow for the top of it and decorate around the opening with ribbin, rickrack or whatever you choose. Makes a nice gift!